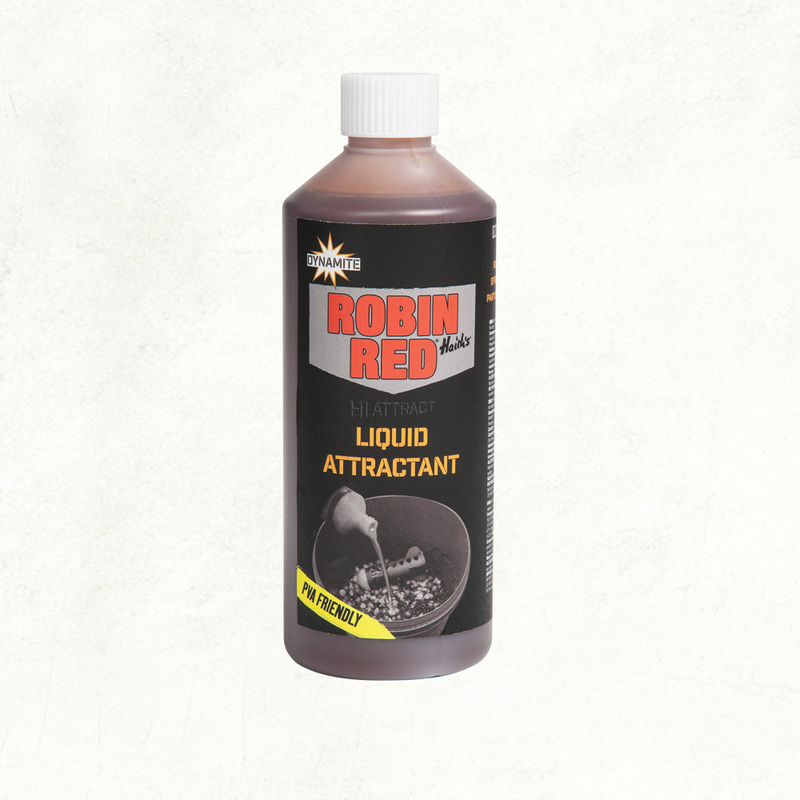 A 500ml bottle of liquid attractant designed to match the rest of the Robin Red range. Like the boilies, pellets and groundbaits, the liquid is blended with original Haiths® bird foods and Robin Red® giving it that deep red colour and excellent fish attracting qualities. We are proud to be officially licensed by Haith’s® and only ever use the original Haith’s® Robin Red ® in all our baits Also an excellent bait for barbel and chub.